Friends, you have no excuse for not making this jam. It's simple. It's healthy. It does't require cooking or any fancy machinery if you so choose (although I chose to use a food processor to make it THAT much faster)! It's made with all the good things and leaves out all the bad. And honestly, it takes about 5 minutes to make! Too good to be true? Nope. This jam should be a new staple in your fridge at. all. times. Ya hear? Oh and if you were wondering (because I just know everyone is sitting on the edge of their hot seats waiting to know whether or not Luke has approved said recipe) it's totally baby approved. Luke LOVED it so much that he literally wouldn't touch HIS FAVORITE YOGURT EVER and only wanted gobs and gobs of this stuff to shovel in his mouth (and smash on his tummy, hair...floor...seat... you get the point). 2. 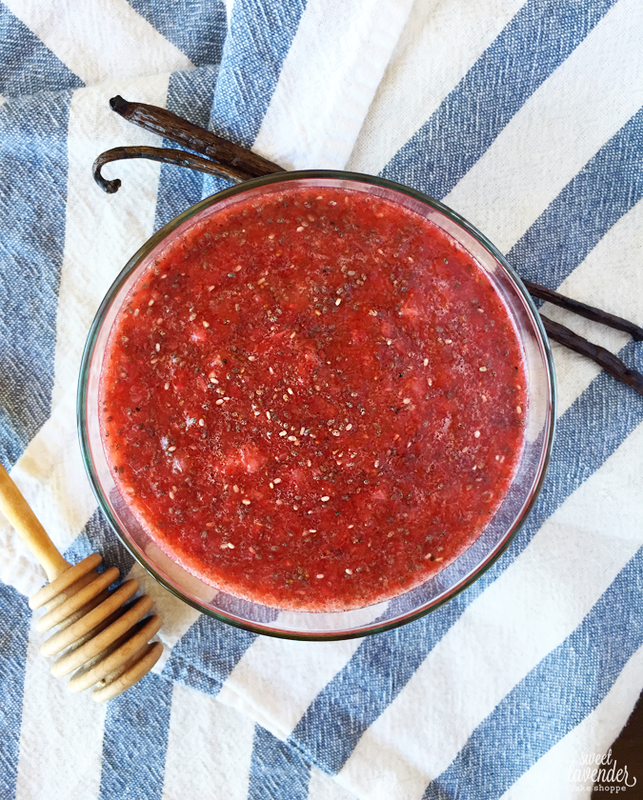 Remove jam and place into a separate bowl (if using a processor) and mix in the chia seeds. Allow to rest in the fridge for an hour before using! Jam should be stored in an air tight container in fridge and is good for up to two weeks!